Are you tired of carrying the long wired chargers everywhere you go? Now you can be free from those tangles as there are some wireless chargers for the smartphones wooing the gadget shops. Here is a list of those for the Androids. Would you try one? Check them out. Today technology is advancing with the practice of leaving the hazard of wires behind. Though not yet rampantly, but the concept of Wireless Charging has entered the industry of smartphones quite well. To get a quick glimpse of how it works, here's a brief description. 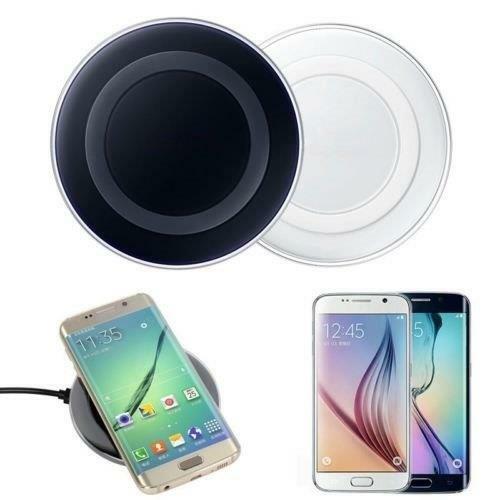 Wireless charging which is technically known as Inductive charging is based on the methodology using an electromagnetic field for transferring energy between two different objects through the process of electromagnetic induction. This is a process that is done through a charging station where the energy passes through an inductive coupling device to an electrical device, and there the energy can be used henceforth to charge batteries or run a device. But for Wireless Charging the phone needs to support Qi wireless charging or else one will have to insert a Qi charging receiver. Currently, the Wireless Chargers that are found in the Gadget Industry include both Brand specific and Universal Wireless Chargers. Here I have jotted down a list of best available Wireless Chargers which you can use for all Android Devices. The list contains both the types of Brand Specific and Universal ones. Check out which of them looks the most apt for your devices. 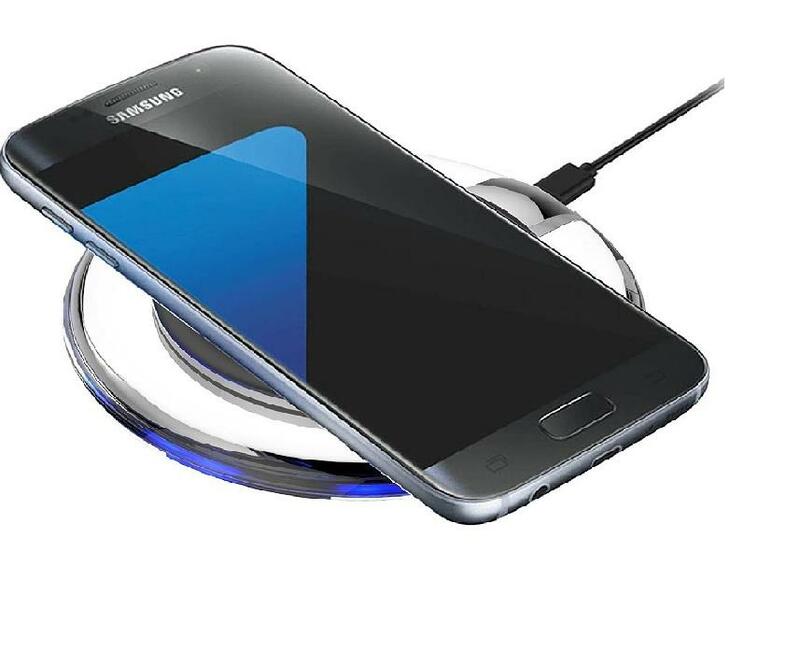 This Wireless Charging Pad from CurioCity is compatible with all Qi-compatible devices and Galaxy smartphones, with which there is no need to plug the phone directly to any wall charger or an USB port. All you have to do is connecting the wireless charging pad to any power source and place the phone on the charging pad. The phone starts getting charged automatically. In the first place you have to connect the Charging Pad to the device's charging cable and place the phone properly on the pad. There is a built-in LED indicator light for throwing an alert if the device is not placed properly and even when a good charge alignment is done. For the best performance you need to have a power Input of 5V/2A, the device will emit an Output of 5V/1A. The maximum distance the charger can cover is up to 8mm. The dimension of the charger is 100mm x 10.5mm. The charger has a classy look, it is light weight and portable. The Charger has a range of advanced features like intelligent controller to provide longevity and a satisfactory standby time. There is a Power-efficient idle mode that never allows the battery to get overcharged or waste energy. ONY Xperia Z2/Z4v/Z3V,and every Qi-Enabled Phones and Tablets. This wireless Charger from Blufury is for every kind of SmartPhones including the Qi-Enabled and Non-Qi Enbaled Device. But for the Non-Qi Enabled phones the Charging Port has to be A type in its Micro USB input slot. To start with, the compatible phone has to be placed on the charger pad and once done, the phone will start getting charged and one does not need to plug or unplug any cables while using this. There is a built-in LED indicator light in the device which is to create an alert if the device has not been properly placed and even then when a good charge alignment has been achieved. There is even an alert when the device is charged fully. Right now the charger is offering a Free Charging Receiver Chip For the Android Mobiles that come under the Type A category. The device dimension is of 9.5 x 9.5 x 2 cm weighing 118 g. Ultra-Thin and Light Weight Design . There is no need to change the phone Cover as it doesn't interfere with it. All the Functionality of your phone would continue to work while charging. The device is compatible with all Qi Compliant and non Compliant phones. 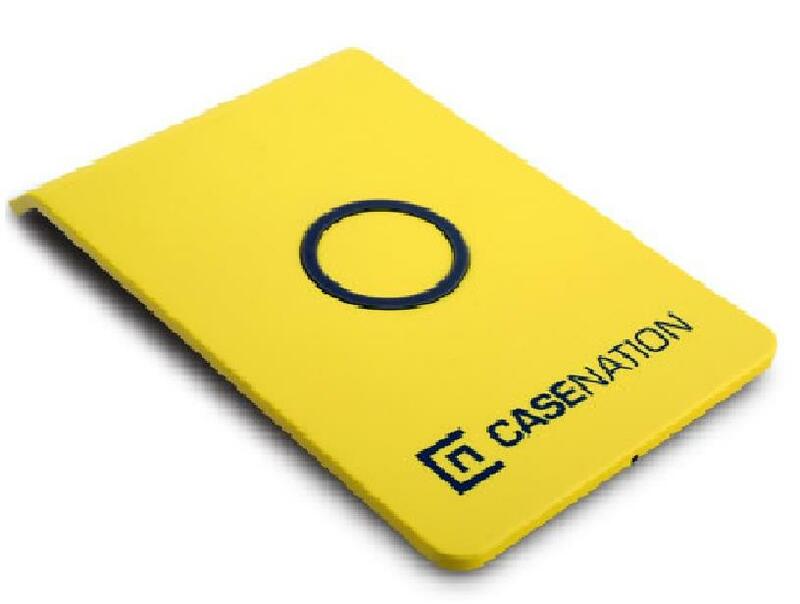 This wireless charger from Casenation is a simplistic plug and play device that comes with a receiver and a transmitter. It is based on Near Field Communicator technology which in short we know as NFC. The receiver that comes with this device has a MFI certified pin and the wireless charger is QI certified. As the device gives a wire free experience it also ensures safety from the risk of passing electric from the device to the ears when you are receiving a phone while charging. 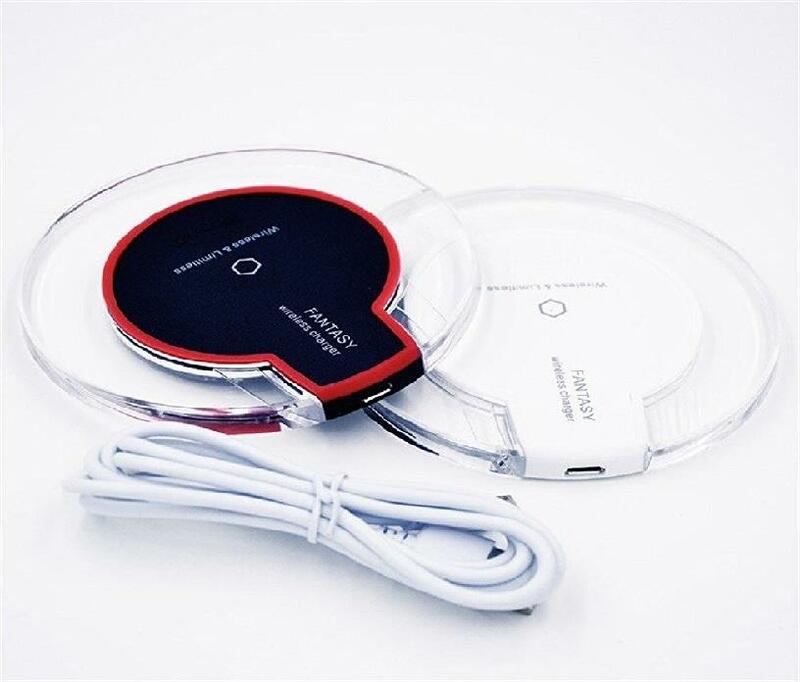 This Wireless charger is based on innovative Wire free technology that ensures safety from the curse of radiation and electric conductivity. This is a Qi Certified device that has a smart look with dimension of 20 x 13.2 x 3.2 cm weighing around 181 g. The device is an universal one which is compatible with all Android phones. This is a Qi Wireless Charger Pad Station from HK. The product claims high quality and high power quick charging without the hassle of wires and cables. The device comes with a Short-circuit protection of the receiver to prevent the device from overheating and overcharging. The device ensures physical security from electric shocks and charges your phone in high speed. The device has an ultra thin look with a dimension of 11.6 x 11.6 x 2.8 cm weighing about 109 g. The device is available in Black and White colours. It is lightweight and portable which comes handy for charging the phones effortlessly at any place, anytime. But one has to make sure that the device has been placed properly in the magnetic inductive center and not anywhere else while charging. For iPhone models, Huawei, Oppo, Zte, Vivo, Xiao Mi etc, you have to buy the extra wireless receiver. The Wireless charging devices do look prospective and smarter than the regular ones. But the coverage area is very less. So the benefit of using the Wireless Technology in these devices is yet to be maximized. As of now, you are free from tangles and clumsiness of wires with these chargers, and to try with these devices are quite reasonably priced. Would you like to try out any of them?